While our favourite software developers produce pokies that are unique and spectacular time and time again, sometimes licensing rights get in the way. Other times, software providers just slip up – because everyone makes mistakes. We take a look at some of the pokies we will never see again both due to licensing rights, outdated technology and the fact they were downright terrible. We also include some of the best pokies available online that we enjoy seeing everyday. This is when the software company took the meaning of 3D a little bit too literally and while this specific slot, namely the Sterling Silver 3D slot, is still available we plan to never see this poker machine again. We’re not sure if Microgaming just wanted to show to us how good they are at every other area of gaming, or they had recently just visited the IMAX theatre, but this pokies failed to excel due to the requisite of those hideous 3D glasses you have to wear when you go into a 3D movie. And unless you stole these glasses, or you got a 3D TV that came with these glasses, you won’t be able to participate in the 3D phenomena of Sterling Silver, rather you will just feel sick. 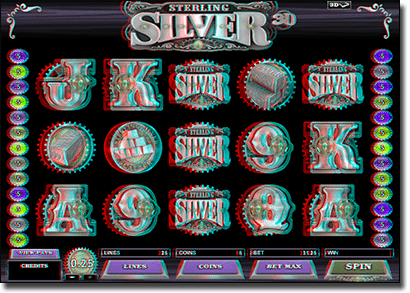 You can play this slot in a 2D version at Royal Vegas Casino, so we won’t be saying goodbye to Sterling Silver completely, but to the 3D version its Ta-ra to that. These are still available right now, but come June 2016, we will never see these slots again. In actual fact since Playtech are the only slot providers in a partnership with Marvel this means there will no longer be any Marvel slots available to play at all. Why? In 2009, Disney purchased the rights to Marvel and haven’t been happy that their brand has been associated with gambling (because kids and stuff), and therefore have decided to pull the plug on the contract and remove every Marvel slot machine by Playtech available online. This means all of our favourite super heroes and villains will no longer be featured alongside free spins or special bonuses. So savour your spins on these Marvel slots, because we will never see them again. Aussies couldn’t access these games anyway due to IGT geo-blocking us from their pokies games, but for everyone else who enjoyed IGT Monopoly slots, they no longer can, and will likely never see these slots again. The rights were forfeited and picked up by WMS Gaming, which had their games added to Leo Vegas’s catalogue back in March. They created a Monopoly Big Event slot which was temporarily available at Leo Vegas, but seems to have disappeared for Aussies due to WMS Gaming’s policies on not allowing Aussie players (it feels software providers really just don’t want us to play their Monopoly slots). Nevertheless, we will never see IGT Monopoly pokies again. Back in 2012, Microgaming removed Lord of the Rings from their pokies catalogue, a move that had never been done before, and replaced it with The Dark Knight. 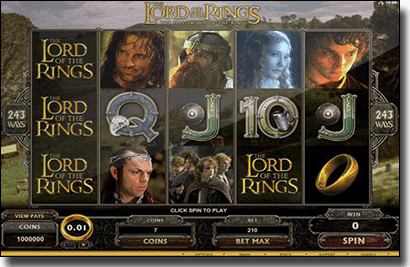 While players enjoyed the 243 ways to win format and the jackpot on offer for the Lord of the Rings slot, Microgaming had to remove it as the estate of J.R.R Tolkien, as well as Harper Collins, were suing Warner Bros. for licensing Microgaming with the rights to make a Lord of the Rings online video slot. It didn’t really seem to bother Microgaming since they simply replaced it with an equally as good slot machine, specifically the Dark Knight, which also features a major jackpot to be won. But since the estate of J.R.R Tolkien aren’t too fond of gambling, we will never see this LOTR slot again. While all pokies produce prizes, the type of prize we are talking about is no longer available. This prize we are talking about includes gum, beer, or some other reward which wasn’t money. When the poker machine was first invented legislation was quick to ban them, or allow them provided they offered gum, a beer from the pub they were situated in, or another non-monetary prize. Some places, especially in the UK, may still offer these types of machines, and while we never did see them on the Internet they have still made the list of pokies we will never see again, unless legislation bans all real money gaming online – then we will want our gum in the mail. While we may never see the aforementioned titles again, we have listed a few slots that we can’t get enough of and hope that we never see the back of. One of Net Entertainment’s hottest releases, Neon Staxx is an 80s retro pokie released in 2015, which offers potentially big spins. Reminiscent of an arcade game, with an 80s soundtrack to match the neon graphics aren’t the only drawcard to this slot. The main attraction is the SuperStaxx symbol which works in the base game and the free spins bonus round to make the reels stacked to create big wins. There’s also 20 free spins on offer and the chance to win 400 times you wager. NetEnt’s Neon Staxx is definitely one of our favourite pokies. We love Starburst quite a lot, mainly because most of our favourite web casinos which offer the NetEnt pokies game, offer free spins when you sign up. Released in 2012 featuring no free spins or bonus rounds, and a measly 10 paylines, you may think we’re crazy for putting it on our list. However, there is a huge payout on offer. A payout of $50,000 to be exact. No this isn’t a progressive, it just has a huge win on offer which is why this slot is so popular. Additionally, since there is also an Expanding Wild feature, which turns a whole reel Wild when it appears, and the chance to win both ways, you can win pretty big, even if you don’t hit the $50,000 payout. Considered to be one of Microgaming’s most popular pokies available from their catalogue despite being released back in 2010. 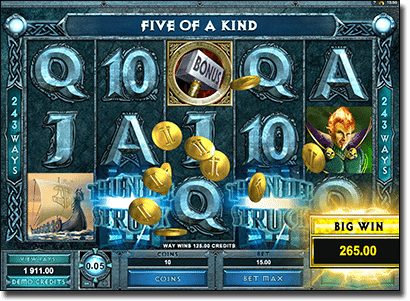 While the jackpot, 1000 coins to be exact, is quite small, the game offers a feature with four mini-features and if you unlock all four you will receive up to 70 free spins each with a multiplier of 1x right up to 6x available. This feature is triggered by three bonus symbols which is the Hammer with ‘Bonus’ written across it. Additionally, there is also a Windstorm feature which is triggered at random in the base game where you can get a free spin with up to five reels turning Wild, with four or more seeing a very large payout. While the jackpot on offer isn’t huge, the gameplay is quite thrilling, and the mini-features and the random feature in the base game can actually trigger huge wins, which is why this is still considered to be one of the most popular slots today. Play Thunderstruck II and other unique online pokies at RoyalVegasCasino.com and take advantage of their generous sign-up bonuses for new players.